Archaeopteryx fossil. 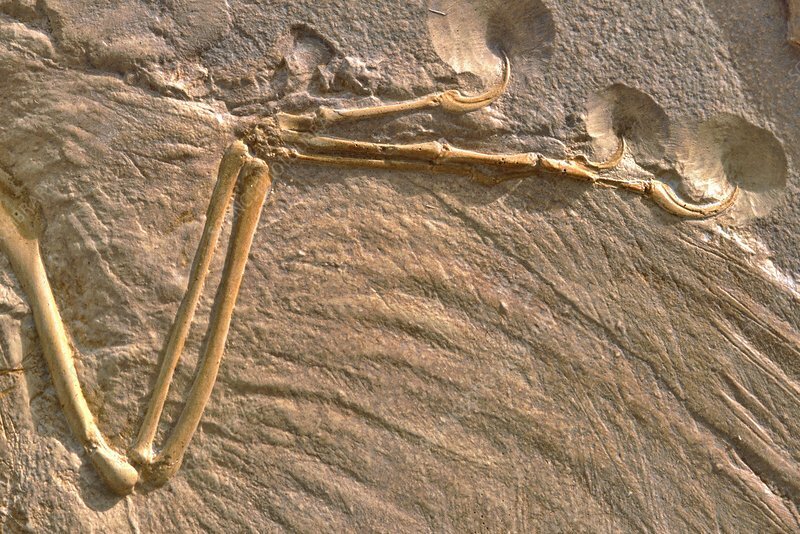 Close-up of the fossilised remains of an Archaeopteryx lithographica dinosaur. A. lithographica lived during the late Jurassic period (around 150 million years ago). It had feathered wings composed of three clawed fingers (shown here) but retained some dinosaur characters, including small teeth and a long tail. It is thought to have been a transitional species between theropod dinosaurs and birds.